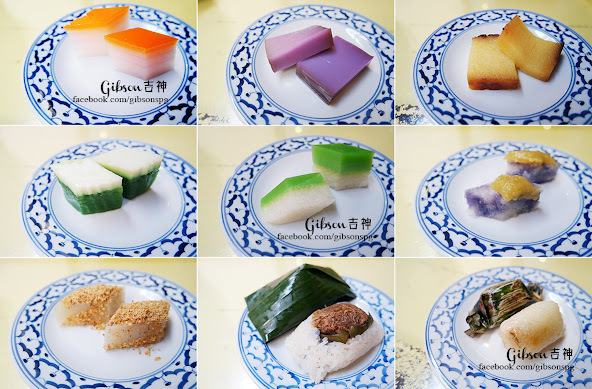 What kind of Penang Nyonya Kuih do you like? Sweet or salty? The Penang Baba Nyonya are strongly influenced by the Hokkiens and Malays, that’s why they like to use coconut milk and glutinous rice in their food, and these 2 ingredients are also the main ingredients for Penang Nyonya Kuih. 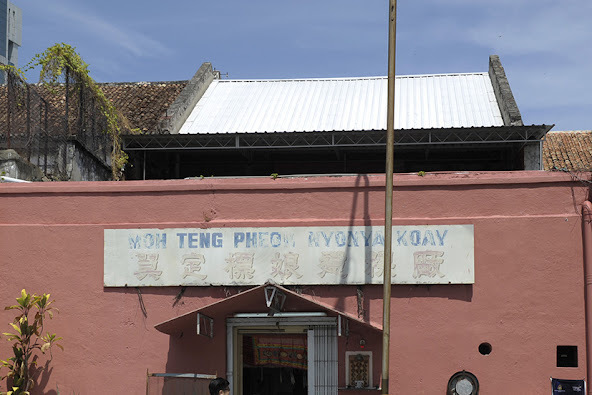 Moh Teng Pheow Nyonya Koay & Canteen is one of the oldest and well-known factory in Penang, where they still serve fresh home-made Nyonya Kuih, especially during the weekends, you get to taste more than 10 types of Nyonya Kuih, most of the Nyonya Kuih are sold at RM0.50 per piece, and you need to order at least RM3 worth of kuih. A sweet steamed Kuih made from rice flour, coconut milk and sugar. Normally made into 9 layers, that’s why in Chinese known as 9-layer Kuih. Its original is also believe to be from Southern part of China, so it is more a Chinese delicacy. Kuih Bengka, which is also known as Kuih Bingka, is another sweet rice-flour Kuih. Besides purple, you may find them in green (Pandan Leaf), white and brown (Gula Melaka). But in Moh Teng Pheow Nyonya Koay & Canteen, they only serve the purple and the tapioca versions. The tapioca version of Kuih Bengka. This is a 2-layered Kuih, where the top white layer is made of coconut milk, salt and rice flour, whereas the bottom layer is green and is made from green pea flour and Pandan leaf. A two-layered Kuih that similar to Kuih Talam, But Sri Muka top layer is a green custard layer, while the bottom layer is glutinous rice with coconut milk. The glutinous rice that coloured by butterfly pea flower steamed in coconut milk, then served with rich coconut jam (kaya). Nyonya-style radish cakes with the topping of grounded roasted peanuts. Steam glutinous rice with butterfly pea flower with palm sugar infused grated coconut topping, then wrapped in banana leaf in the shape of a pyramid. Rempah Udang aka Pulut Panggang, is a glutinous rice rolls filled with sautéed spicy shrimp paste. Abuk-Abuk is made of sago, grated coconut, pandan juice and brown sugar, which is wrapped in a banana leaf and steamed. Commonly filled with curry chicken and potatoes, is a Malay delicacy. Deep Fried Popiah that has jicama as its filling (Bang Kuang). Even better if you dip it with laksa soup to enhance the flavour. Asam laksa is a sour, fish and tamarind-based soup, and it is also Penang’s iconic food, how could you miss it. Business Hours: 10.30am – 5pm, Closed on Monday.